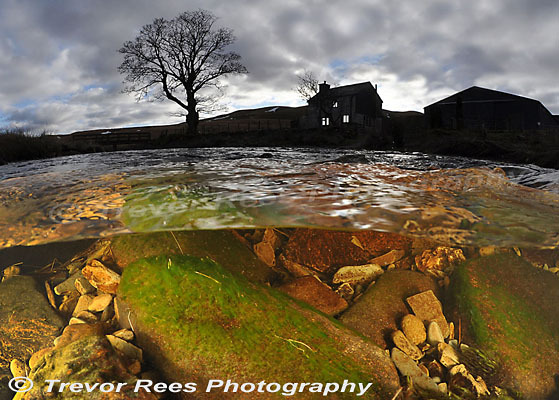 A split level image taken on a late February evening in in the Elan valley, Wales. Voted the best image out of all the BUPG 2010 monthly winners by guest judge, Alex Mustard. Nikon D90 and 10.5 Nikkor with twin diffused strobes placed under the water.